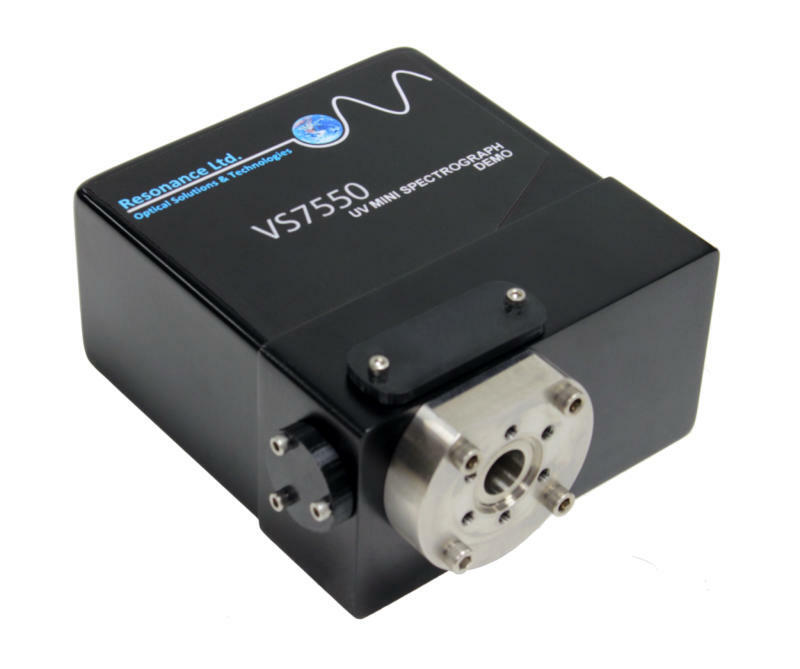 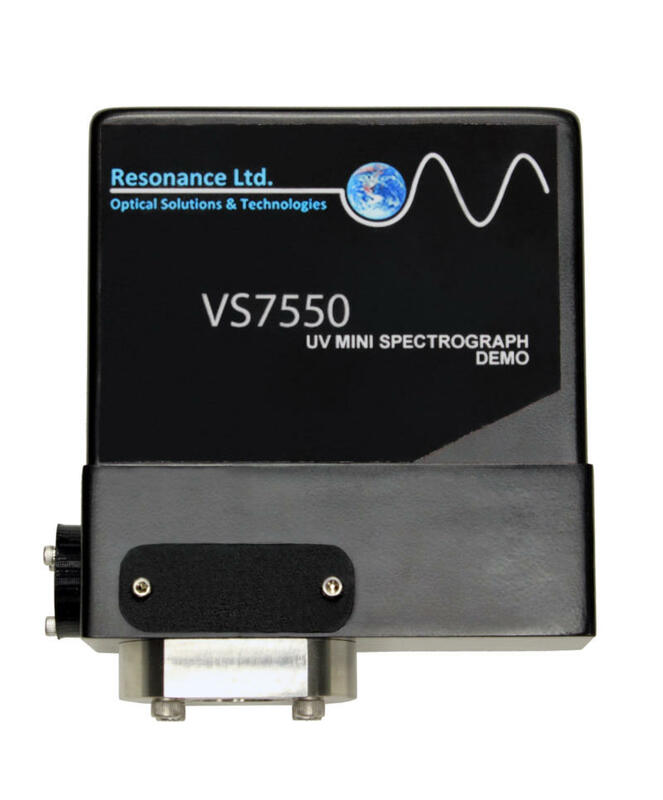 The VS7550 is a miniature Czerny-Turner spectrograph with excellent speed, spectral range and spectral resolution with software control of slit size, input f#, order sorting filters, grating angle and dark exposures. 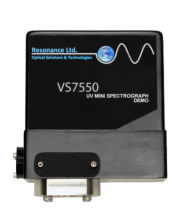 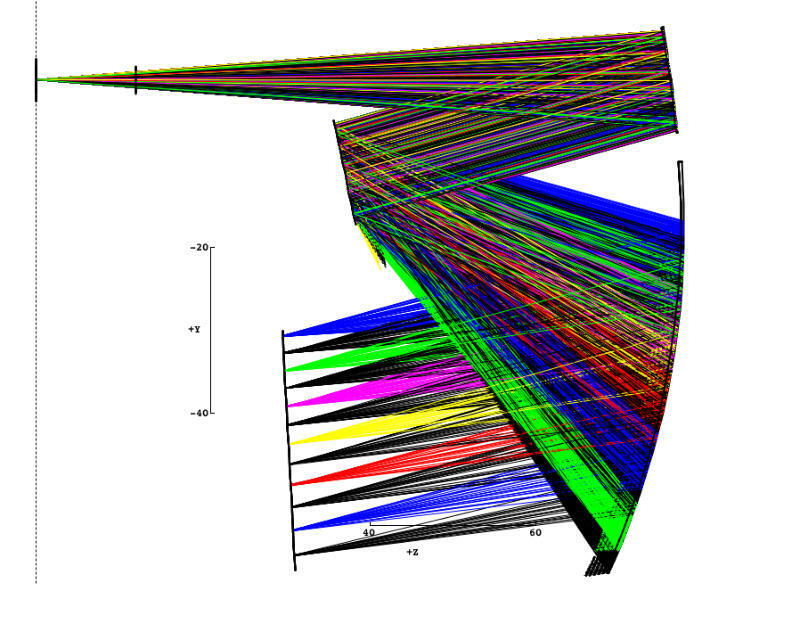 The UV spectrograph has a spectral range from the air short wavelength cut-off at 185 nm to the detector IR cut-off at 1100 nm. 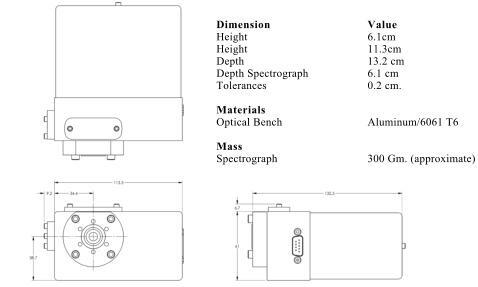 The spectrograph is small enough to fit in your hand and can be fully operational in any orientation at the end of a 5-meter cable. 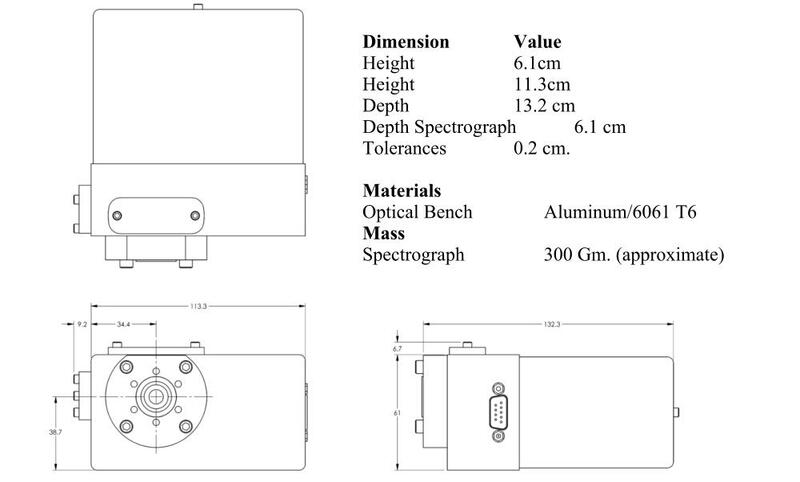 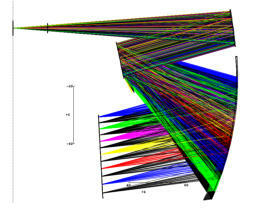 Accessories include a built-in spectral calibration lamp, a multi-spectral field flat light source, fiber optic adapters and back thinned detectors.